The Turkish Coast Guard vessel SG-703 TCSG Umut is visiting Durrës, Albania. She arrived on 2 December 2013 and will stay in Durrës till 4 December. During her long-range deployment and endurance trails, TCSG Umut is making history. Her visit is probable the first official visit of a Turkish Coast Guard vessel in this country. Last week the ship was in Messina Italy, which was a first too. 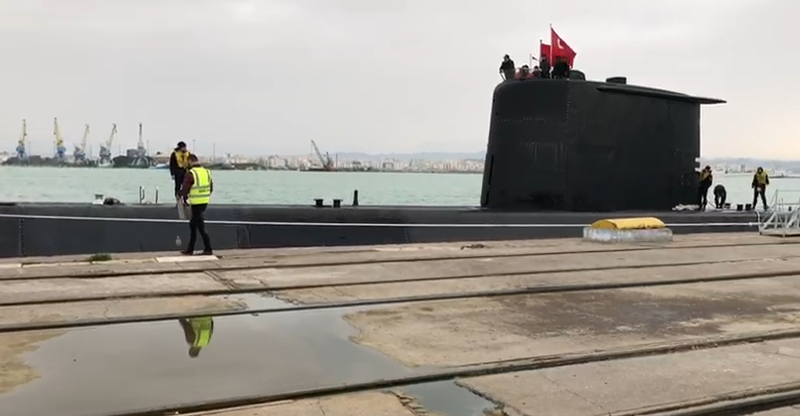 Turkish Navy give emphasis to its relations with Albania and Turkish warships even submarines visit Albanian ports quite regularly. Interior Minister Samir Tahiri and Mayor of Durres Vangjush Dako visited Turkish coast guard vessel TCSG UMUT, who arrived the morning of 2 December at the port of Durres. Albanian dignitaries are expected by the commander of the ship captain of the first rank Ertan Balxhi (Balci), Commissioner of the ship captain of the first rank Xhynejt (Cuneyt) Kara and other officers. The meeting was attended Roland Xhelilaj mayor and county council chairman Alfred Mullaraj Durres. The commander of the ship TCSG UMUT and other military expressed its satisfaction at the visit Durres. It discussed issues relating to military cooperation within NATO and the friendship that exists between the Albanian and Turkish. The biggest ship of the Turkish coast guard TCSG UMUT with a crew of 90 persons, including 15 officers, has come to the port of Durres in the implementation of the plan of bilateral military cooperation between our country and the Republic of Turkey in 2013. 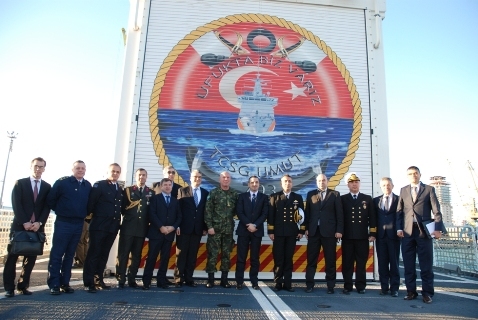 The purpose of this visit is to exchange experience between the naval forces of Albania and Turkish naval forces as well as the participation of the Turkish ship in a joint exercise. The Turkish Milgem class corvette, F-511 TCG Heybeliada arrived in Durrës Albania today for a 3 day visit. Albania is her last visit before returning to home. TCG Heybeliada visited Egypt, Libya, Morocco, Algeria and Tunisia before. 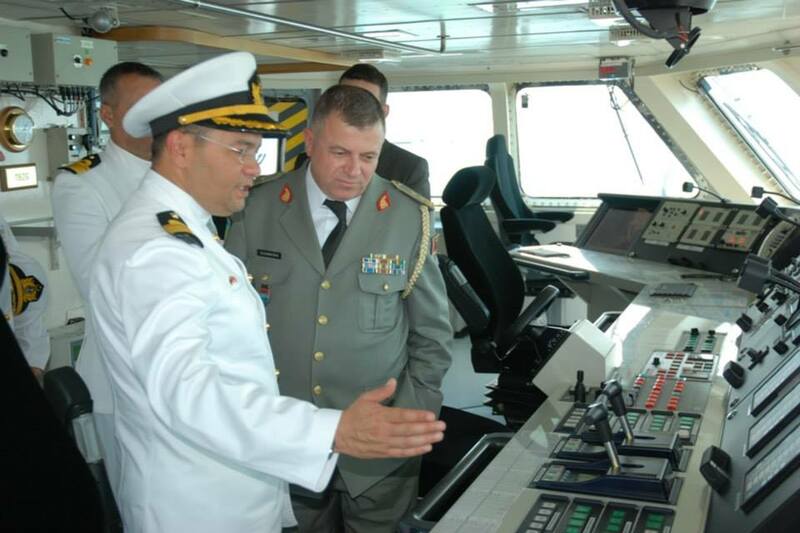 According to Albanian Military Forces announcement the Albanian Chief of General Staff General Xhemal Gjunkshi, and the Commander of Naval Forces General Qemal Shkurti visited the ship. 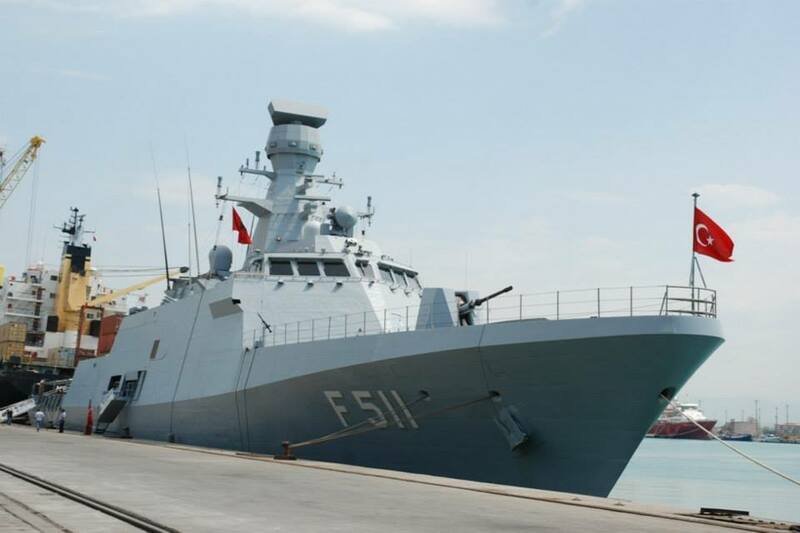 In the framework of bilateral cooperation between the Albanian Armed Forces and the Armed Forces of Turkey, from 8 to 10 July 2013 in Durres seaport, is conducting a port visit to the Turkish ship “TCG Heybeliada”. Chief of General Staff of Armed Forces Major General Jamal Gjunkshi, accompanied by the Commander of the Naval Force, Kemal gjeneralbrigade February have now developed a visit to the ship. During this visit was also attended by the Ambassador of the Republic of Turkey in our country, Mr. Hasan Asan. Thursday with Turkish ship commander will give a press conference of interested media, which will also have the opportunity to film and interview. During the ship in the port of Durres, meetings are scheduled shuttle commander with the Mayor of Durres and the Prefect of the Region. The crew will visit the archaeological and cultural facilities in the city of Durres. A special visit is planned to be developed by the Albanian Navy personnel who have conducted various studies and training in Turkey. M-260 TCG Erdemli, arriving in Vlores, Albania. Photo: Albanian Armed Forces. Today, on 06.07.2013 at 08:00 in the Sea Port of Vlora arrived ready group of NATO minesweeper, SNMCMG 2. Ready Group of the NATO minesweeper, SNMCMG2, composed of ships “HMS LEDBURY”, “TCG EDINCIK” and “ITS Crotone” between 7 to 10 June 2013 is conducting a port visit in Port of Vlora, in compliance Support Plan for NATO Integration (ISP) for 2013. The purpose of this visit is to familiarize the exchange of experiences and the development of a joint naval exercise “PASSEX” Naval Flotilla boats, Pashaliman, Vlora. This exercise serves to increase the professionalism of the personnel of the Naval Force ships, and enhances interoperability of our vessels under joint development of naval operations to NATO. 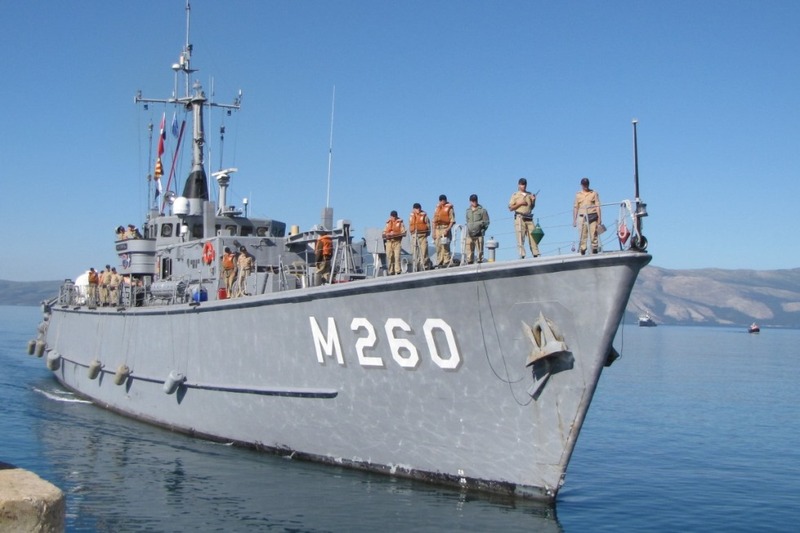 This exercise which will take place on the last day of stay shipping group willing to NATO, SNMCMG2 the Port of Vlora. NATO’s mine counter measures group SNMCMG-2 Arrived in Vlores, Albania on 7 June 2013 for a 4 day visit. Three NATO SNMCMG2 Mine Counter-measuring Ships have anchored on Friday morning in the port of Valona. Official sources from the Albanian Ministry of Defense confirmed that these ships will stay on this port for 4 days, from June 7 until June 10, 2013. The Ministry of Defense said that this visit is held on the framework of the support plan for integration in the NATO and its scope is to offer knowledge on the standard operational sea procedures. In the task force are the Turkish mine hunter M-260 TCG Edincik, the Italian mine hunter 5558 ITS Crotone and one unidentified Royal Navy warship. This an Albanian news clip about the SNMCMG-2 visit. And this is an Albanian news article about the visit. The Turkish submarine in the Ionian Sea, TCG Anafartalar made a four-day visit to Durrës, Albania, after she has participated to the NATO ASW exercise, Noble Manta 2013. It is not common for submarines to make port visits. 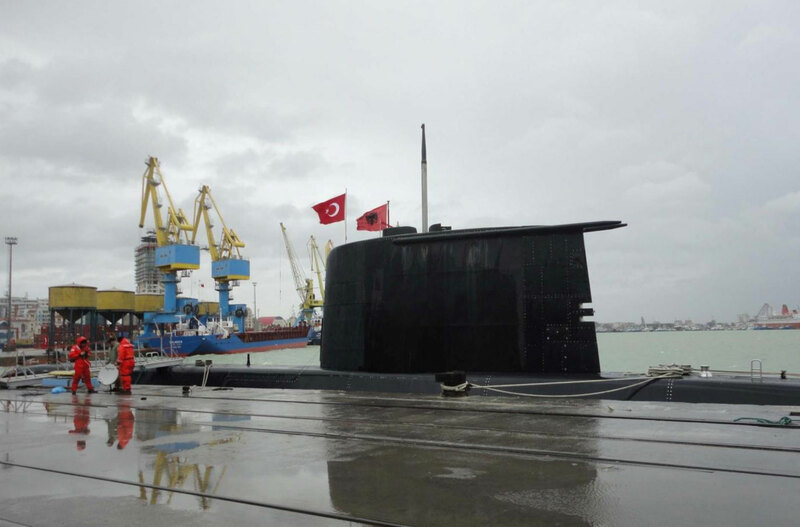 This morning in the port of Durres has arrived Turkish submarine “TCG Anafartalar.” Official sources Naval Forces Command, announced that Turkish Navy military ship will conduct a 4-day port visit, scheduled for 2013 our member countries of NATO. During their stay in our country staff submariner “TCG Anafartalar s-356” will conduct visits to some of the major cities of the country, as well as historical and archaeological center. Meanwhile provided with cultural and sports activities between local sailors and friends from Turkey – our Command naval sources said. 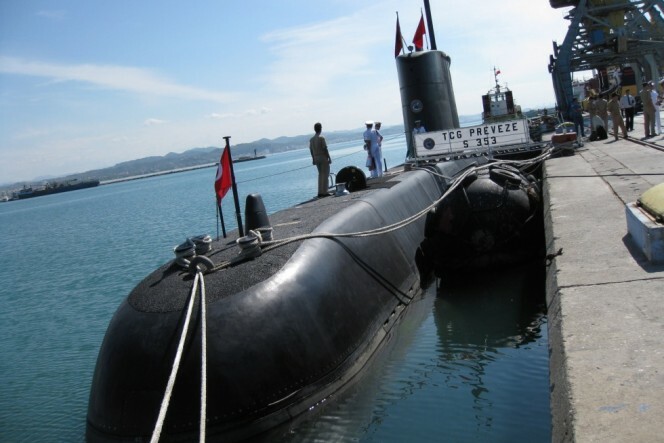 This is the third submarine of the Turkish Naval Fleet to visit the port of Durres in a period of three years. 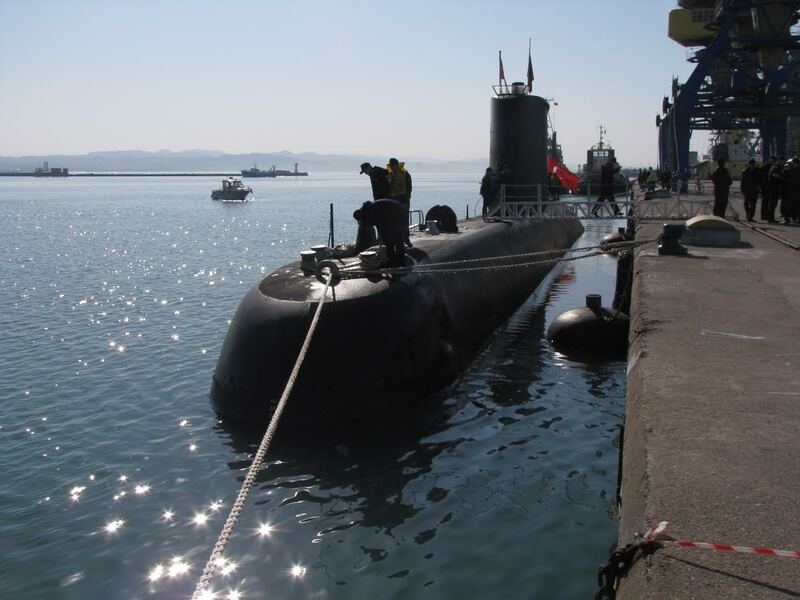 Submarine “TCG Anafartalar” will leave the port of Durrës on 17 March. As far as I know TCG Dolunay was in Durrës in 2010. I would appreciate any information about other Turkish submarines in Duress in 2011 and 2012.